On a long walk the other day with one of my good friends, I ended up in Gwangjang Market (광장시장) near Dongdaemun. If you've never visited this market, then you need to head over there. Last winter, C and I enjoyed some fantastic bindaeddeok and pumpkin porridge at the market, and last weekend I tried the famous drug kimbap 마약김밥. 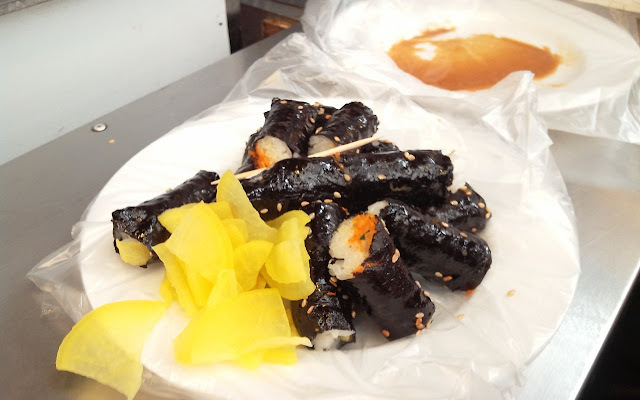 You've probably seen these little mini kimbaps before, but apparently the original purveyor of this quick snack is in Gwangjang Market and everyone else copied their ideas. They are quite tasty, especially with the wasabi-esque dip. Inside the kimbap is carrot, radish, and leeks. 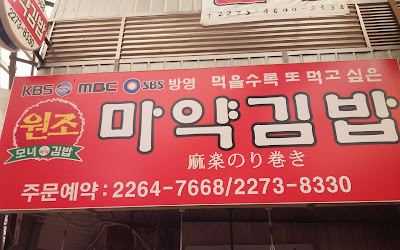 Although I wouldn't say it is worth it to go to Gwangjang just for these little buggers, if you are already in the area, they would make a quick and cheap lunch. 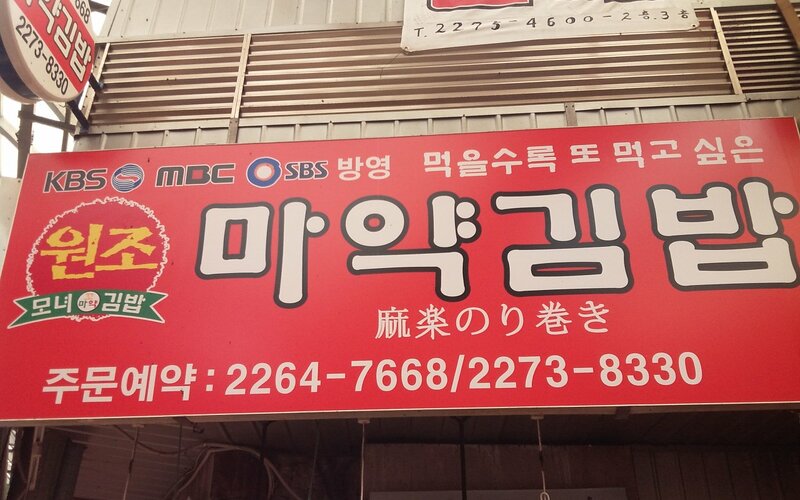 To get to 마약김밥, go to exit 7 of Jongno 5 Ga and walk straight til you can take a right into the market. You'll see this sign at the first main market intersection.